When you join a new online sportsbook, one of the first things any experienced gambler does is check out what offers are available to new players. All online sports betting sites like to welcome those signing up with deals like this to make their first moments gambling with them as enjoyable as possible. It’s also a great way of introducing betting to those who may not have a lot of experience of using an online sportsbook as the Free Bets could be used to explore the markets and try out the mechanics of an online betslip. At Betfair, you can get up to £100 in Free Bets when you sign up which can be used on any market. To benefit from this great offer, you need to use the promotion code, ZBBC01, when setting up your new account and then start making bets. Place five bets of £10 or more with minimum odds of 1/2 (1.5) and, once they are settled, Betfair will reward you with £20 Free Bets every time. The Free Bet welcome offer is not the only great deal you can expect to benefit from. 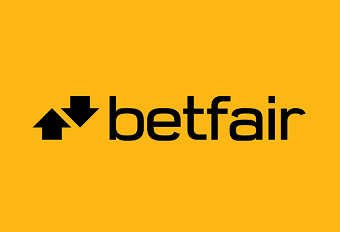 Betfair love rewarding their existing and loyal customers as much as their new players and there are bet types to suit everyone, regardless of what sport they like. For example, many punters love to bet on a football match and you can find plenty of betting markets to suit all requirements. Whether it’s the full time result, goalscorers or even corners awarded, there really is something for everyone. Horse racing enthusiasts have the same amount of offer, with ever-changing odds as the horses near the stalls. If you are new to betting on The Exchange, then you can claim a risk-free £5 bet to place when you join. Before heading to The Exchange, opt in to the promotion from its dedicated page and then click on ‘Bet now’ to visit the Betfair Exchange. If you place a bet of at least £5 and lose, then don’t worry, as Betfair will give you a refund of £5 in cash. For those who love placing bets at high odds and accumulators, there’s plenty to get excited about on Betfair. On the first accumulator placed every week, fans will receive a bonus boost for each selection on the betslip. For example, a treble would see a bonus of 5% added on. Whereas if you make over 10 selections, then you’ll receive a 50% bonus on top of your stake. Accumulators are a great way of making money, but beware, as the more selections you make, the chances of winning decreases as there are more factors at play. As the biggest sporting events come and go, so do the great promotions on the big matches, competitions and tournaments. During the big horse racing meetings, players can take part in a range of promotions that will only boost your balance at the end of every day. There are special promotions for all the big annual events, including Cheltenham Festival, Glorious Goodwood and Royal Ascot. Offers include boosted odds on the favourite, refunds on second-place finishes and bonuses on each-way bets. As football is the most popular game on the planet, you’ll find it as no surprise that there are not only lots of football betting markets available, but also a plethora of football leagues and tournaments to bet on. As the biggest league in the world, there are weekly offers on Premier League matches to entice all football fans to the sportsbook. On top of that, you can also find betting markets for the Champions League, La Liga and Serie A, in addition to all major international tournaments. One of the most exciting developments in online sports betting is the ability to put down bets in the middle of a match, game or race. As the game progresses, the odds will change depending on what’s happening. You can then place a bet based on what you’re seeing in front of you. The same works for cashing out. If the team you selected is winning, but you’re not sure that they’ll hold on to the lead, then you can cash out for some of your winnings. Doing this is also a great way of minimising losses. At Betfair, click the green ‘In-Play Now’ button on the sportsbook to see the live selection of markets from a range of sports. To cash out, simply go to your betslip and click the button indicated. Sports betting at Betfair comes with terms and conditions like any online bookmakers and it’s best to stay abreast of the caveats and limitations that come with all their promotions to avoid any nasty surprises. With sports betting, the time it takes for a bet to be settled varies, so many promotions stipulate a limit on the number of days that can pass in order for the bet to be completed. Before participating in a promotion, it’s a good idea to check the time limits against the bets you intend to put down to see if they will be settled in time for you to collect your winnings. To be eligible for a promotion, many offers require you to place a real money bet to be considered for bonuses, Free Bets and prizes. This bet often also carries minimum odds, which at Betfair are typically set at 1/2 (1.5) unless otherwise stated. Offers are also sometimes only eligible on certain types of bets, so it’s best to check out the promotion before making your selections.